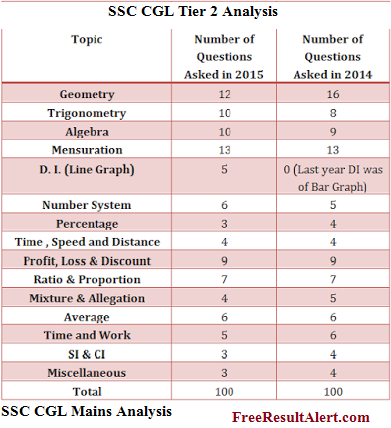 SSC CGL Tier 2 Analysis 2016 & Paper Review: Shift 1, 30 Nov., 1 Dec. In the SSC CGL Tier 2 exam, questions asked from quantitative aptitude, English and verbal and non verbal reasoning. The overall paper was easy but different sections had a different level for attempting. Total 100 questions were asked in the SSC CGL Tier 2 exam in which few questions belong to quantitative aptitude and 3 Number series questions, Profit & Loss etc. ✍Only 30 questions were asked in the English section. Questions in English grammar were of moderate level and candidates attempted only 3 to 5 questions in English grammar. Comprehension level was so easy and candidates did not take more than 5 minutes to solve such comprehension. Today SSC CGL Tire 2 Shift 1 Asked Question are Updated Here Soon . SSC CGL Tier 2 exam 2016 Quantitative aptitude section was easy to Moderate level. All questions from this section on 30 November 2016 shift 1,2 were easy. Even an average candidate took only 110 to 115 minutes to attempt all questions. Candidates said that paper is of a moderate level and those who studied complete syllabus will clear these SSC CGL mains 2016 exam with good score. SSC CGL Mains 2016 Quantitative Aptitude morning shift was Moderate. Questions were asked from the following topics, you can download the Memory based question paper below in pdf format. This time SSC has conducted exam on 30 November 2016 in 2 shifts. 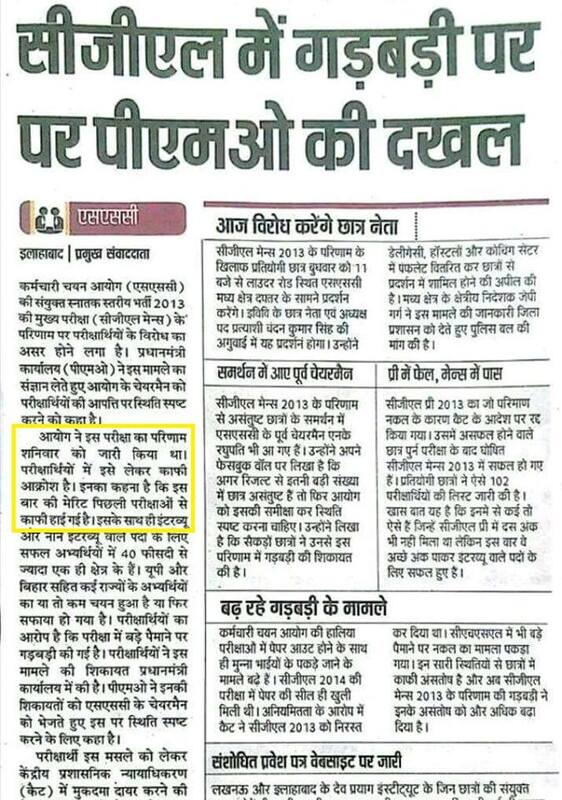 Exam pattern in all 2 shifts will be same for each shift. The exam is all 5 shifts was so easy and intelligent candidates able to get cleared this exam easily and may be able for the main exam for the different post. SSC CGL 2016 mains exam review & safe Attempt with the level of difficulty is mentioned below. Cut off marks for SSC CGL Tier 2 2016 not released yet, we upload expected cut off after the exam is over for all students. till you can check SSC CGL Tier 2 Cut off marks 2015. ✉Here we complete the SSC CGL Tier 2 Analysis 2016 with a lot of information collected from various sources like- SSC ADDA, SSC Tube, Online Tyari, Mahendra Guru etc.